White sugar. The white sugar in your homes that you use to sweeten your coffee or bake with, along with sugars added to processed foods and beverages is probably the worst dietary habit of all affecting your health. It is high in calories and probably the easiest food to digest because it has been reduced to the simplest carbohydrate (devitalized down to it's carbon atom) by over processing. Studies have shown that over-consumption contributes to obesity, diabetes, cardiovascular disease, inflammation, weakened immunity and even cancer. And that's just what we know. Most people don't know that most brown sugars are simply refined white sugar that has had some molasses added back into it. That would be an additional process. I think the worst of all sweeteners is high fructose corn syrup. Please take some time to research how sugar is processed and how it affects your health. Ok, so is there any safe sugar? I've found this a little confusing. I think the best sugar would be the least processed one which is evaporated pure cane juice, organic of course. 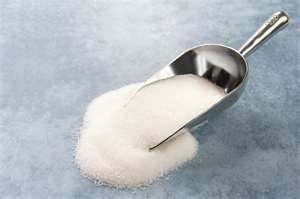 Also known as turbinado, this sugar is relatively unprocessed, unrefined and crystallized through evaporation. Similar to turbinado is demerara sugar, though to be honest I'm not sure what the exact difference is. Both are large grained and a light brown color and can be used in place of refined white sugar. Muscovado sugar is a dark brown unrefined sugar that still contains some of it's molasses and can be used as you would brown sugar. Keep in mind when using that these "safer" sugars have the same number of calories and the same amount of glucose per spoonful as refined white sugar (as does honey and maple syrup) so we still need to make sure we are not consuming more than our bodies can handle healthily. The recommendations for a healthy adult without diabetes is under 40 grams per day. Just to give you some idea how much that is, one teaspoon of granulated white sugar has 4 grams of sugar. An average 12 oz can of pop has almost 10 teaspoons of sugar, or a full 40 grams. If your yogurt has 12 grams of sugar per serving that equals 3 teaspoons of sugar! Not many of us could sit and eat 3 spoonfuls of sugar right out of the sugar bowl, but we don't seem to notice it in a 100 gram serving of sweetened and flavored yogurt - how is that? I don't know about you, but it defies my logic! I really try not to add sugar to anything I eat or drink and I don't drink any sugary beverages. I don't drink juice either, preferring to eat whole fruits and vegetables which are hydrating and have the added benefit of fiber! Am I ready to give up sugar? No way! I am, however, going to try and minimize my use of it. Sometimes you just have to have something sweet and these coconut macaroons will fill that bill and may even be good for you. Studies have shown that the daily consumption of coconut oil fats helps to burn fat and increase calorie expenditure. These moist and chewy treats make use of evaporated cane juice and contain no dairy, gluten, or fat other than what is naturally found in the unsweetened coconut used. They are simple and easy to make and each cookie has only 60 calories! Preheat oven to 350. Prepare cookie sheet by spraying lightly with a cooking oil spray. In medium saucepan bring water, cane juice, vanilla, honey and salt to a boil over med-high heat, stirring occasionally. Boil for 30 seconds to form a syrup and remove from heat. In a medium bowl mix coconut and egg white well. Stir in syrup mixture to form a dough. Drop on prepared sheet by rounded tablespoons, one inch apart. Bake in center of oven for 8 minutes; rotate pan and bake for 4-5 minutes longer, or until brown and set. Cool completely and store in airtight container. Makes aprox 36 cookies. Your macaroons look wonderful and I love turbinado sugar - I'm always worried about the use of white sugar and attempt to cut down - I realize cutting out would be best! I was lucky enough to taste one. Mmmmm. I forgot to ask if you used your Madagascar vanila for this recipe? I haven't heard of turbinado sugar. I will have to look it up. It is terrible when you really consider how we have refined some products so much that they are really no longer worth eating. I haven't used agave syrup as a substitute for sugar but I have used it to replace corn syrup in recipes successfully. I was at the grocery store yesterday and saw that they now carry new flavors of the agave - cinnamon, maple, strawberry and also vanilla. They sound interesting! looks so easy to prepare and delicious...lovely!